Madeleine McCann Anonymous Reward. Do you have any information ? 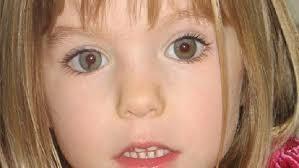 Madeleine was on holiday from the UK with her parents, Kate and Gerry McCann, her two-year-old twin siblings, and a group of family friends and their children. She and the twins had been left asleep at 20:30 in the ground-floor apartment, while the McCanns and friends dined in a restaurant 55 metres (180 ft) away. The parents checked on the children throughout the evening, until Madeleine’s mother discovered she was missing at 22:00. Over the following weeks, particularly after misinterpreting a British DNA analysis, the Portuguese police came to believe that Madeleine had died in an accident in the apartment, and that her parents had covered it up. The McCanns were given arguido (suspect) status in September 2007, which was lifted when Portugal’s attorney general archived the case in July 2008 because of a lack of evidence. The parents continued the investigation using private detectives until Scotland Yard opened its own inquiry, Operation Grange, in 2011. The senior investigating officer announced that he was treating the disappearance as “a criminal act by a stranger”, most likely a planned abduction or burglary gone wrong. In 2013 Scotland Yard released e-fit images of men they wanted to trace, including one of a man seen carrying a child toward the beach that night. Shortly after this the Portuguese police reopened their inquiry. Operation Grange was scaled back in 2015, but the remaining detectives continued to pursue a small number of inquiries described in April 2017 as significant. DO YOU KNOW WHERE MADELEINE IS DEAD OR ALIVE?